Manufactured by Under Armor, the kids shirt for Fluminense for 2017, kids model, offers customization of name and number, ideal for young fans to wear their love for the team. More info. 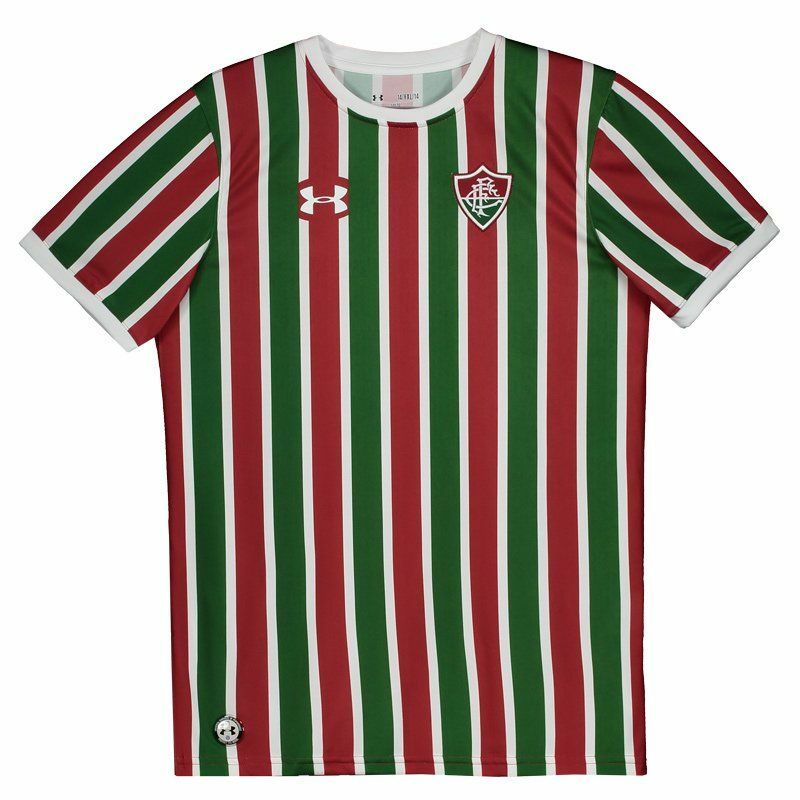 Manufactured by Under Armor, the kids shirt for Fluminense for 2017, kids model, offers customization of name and number, ideal for young fans to wear their love for the team. Made of polyester, the piece features HeatGear® technology, a fabric with compression fit, odor control and transports the moisture away from the skin, leading it to the surface while accelerates the evaporation and keeps the body cool and dry. The uniform was inspired by the team that was known as "A Máquina Tricolor". Its design features the traditional striped mantle, with vertical stripes in green and grená, traditionally separated by white lines. In addition, it features white on the crew neck collar and cuff of the sleeves, which have a fluted finish. Finally, in the chest, the team's badge appears embroidered on the left side of the chest, the opposite in turn, the logo of the supplier's brand is seen stamped. 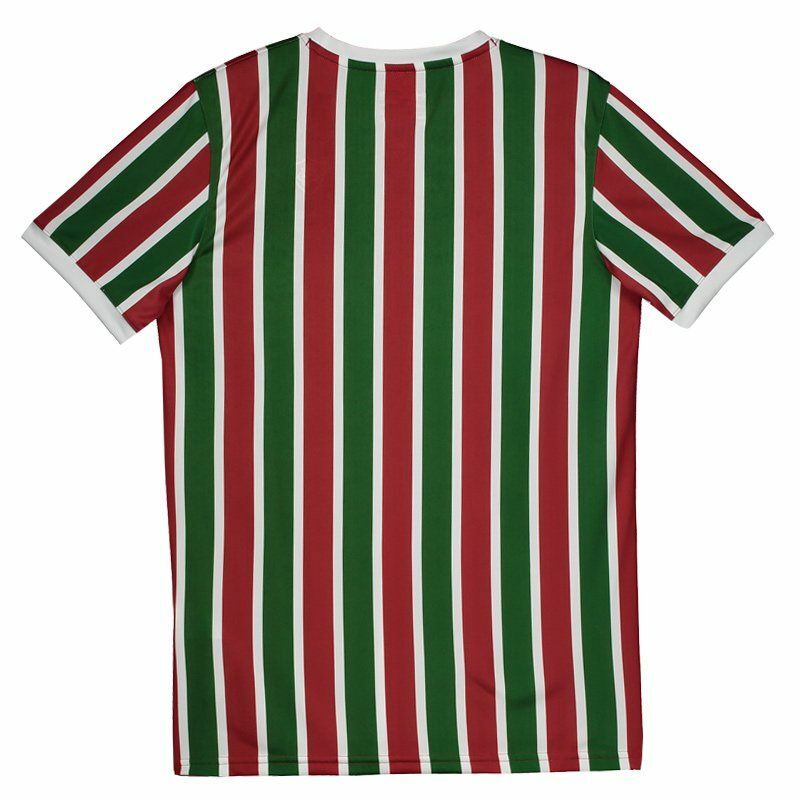 Fluminense Football Club, known simply as Fluminense, is a Brazilian sports club best known for its soccer team that plays in the Campeonato Brasileiro Série A, the top tier of Brazilian soccer and the Campeonato Carioca, the state league of Rio de Janeiro. The club is based in the Laranjeiras neighbourhood of Rio de Janeiro. Fluminense play their home games at the Maracanã Stadium, which currently holds up to 78,838 spectators.